Online degree programs let you work toward a new credential without uprooting your life. And the credentials they give you are usually the same as you’d earn on campus. So you’re free to pursue an education that fits your schedule. To help you sort through the top online schools in Pennsylvania, we’ve used data from The National Center for Education Statistics and ratings from school-ranking entities like TheBestSchools.org, BestColleges.com, OnlineColleges.net, and AccreditedSchoolsOnline.org. If you live in Pennsylvania, a few of these schools can give you a pretty affordable education. But one school is significantly more affordable than all the others, regardless of where you live. Slippery Rock University (#8 on our list) costs about $10,000 per year in-state, and about $14,000 per year out-of-state. To be fair, Penn State’s World Campus (#1) is right there, too. An education from this top-notch university runs about $14,000 per year for both in-state and out-of-state students. An education is valuable in itself, but odds are you’re going to school because you want the credentials. Eight of the options on this list have above average graduation rates. 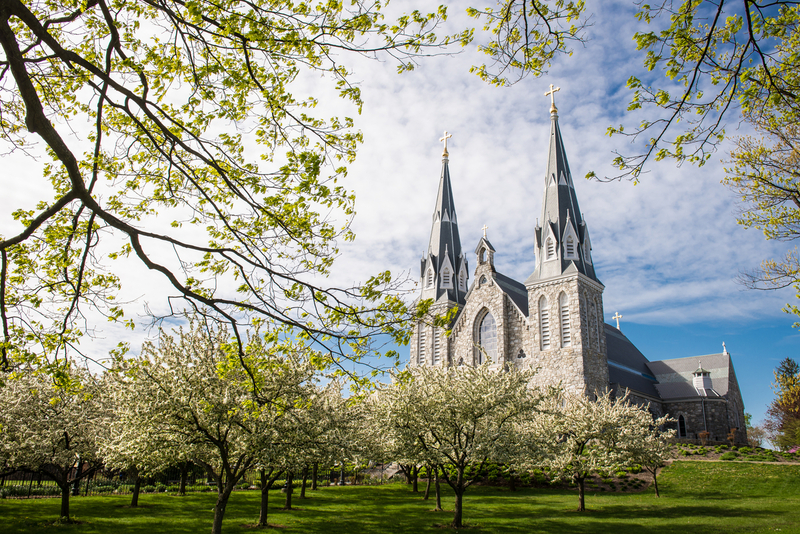 But if you’re worried about graduating, look no further than #3 on our list, Villanova University. Nine out of ten VU students walk away with a degree. Your degree program can completely change your career path, so it’s important to find a field that interests you. Most schools don’t have nearly as many online options as they do on campus. Several schools on this list have decent selections, but one of them has far more programs than the others. 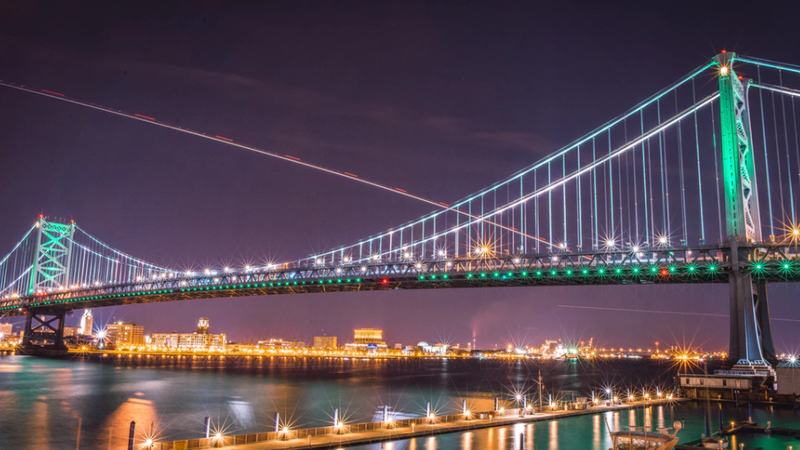 Drexel University (#2) offers more than 60 online degree programs, with plenty of choices for undergraduates and graduates alike. 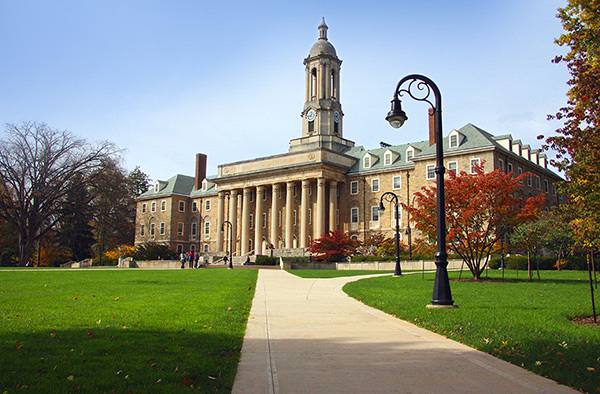 Penn State University offers more than 80 online degree programs through their World Campus. They’ve been providing university-level online education for more than 20 years. PSU’s World Campus is #3 on our list of the best online schools in the US. In 2010, Penn State was #1 on The Wall Street Journal’s list of recruiter-preferred schools. Companies like Penn State because they have such a wide range of exceptional programs. It’s a “one-stop-shop” for hiring. As you work through the materials with fellow students at Penn State, you’ll add their perspectives to your own. Drexel University offers a sampling of online undergraduate degrees and wide range of online graduate programs. Drexel is one of the top online colleges in the country (#17). Their online master of education program is #5 in the country. In most online classes, recorded lectures let you “go to class” on your schedule. But when you’re watching a professor in front of a green screen, you can miss some valuable material that comes up in class discussions. At the very least, you may not be able to participate in these conversations. But when you take classes online at Drexel, some of your courses have live online classrooms where you can jump into the conversation from your computer. At Drexel Online, you’ll have online access to their award winning W.W. Hagerty Library, their writing center, and the Steinbright Career Center. *Tuition rates are different for every program at Drexel. Villanova University offers graduate-level online degree programs in STEM and business-related fields, as well as law. They also have a strong selection of online certificate programs, and an online RN to BSN program for undergraduates. The school used to offer several online degree completion programs, but those appear to be discontinued. Villanova University has one of the best online master in human resource management programs (they’re #6 on our list). Since VU is a Roman Catholic school, you can probably expect faith to play some role in your education, though it isn’t clear to what extent that is for people in non-religious studies. *While the school boasts an incredible 96.5% placement rate, you should know: this includes students who are “taking time off before pursuing opportunities.” It’s pretty typical for schools to count volunteering and other activities towards their job placement rate, but this is the first time I’ve seen planned time off included in that number. Duquesne University offers online degrees in business, education, and health, primarily focusing on graduate studies. This Catholic school has been around for more than 130 years. To foster close relationships between students and professors, these online classes “are not self-paced, independent study.” You’ll have regular interactions with professors and receive feedback on your work. Duquesne University has a unique online writing center, where online students can schedule one-on-one meetings with a professional writing consultant. These 45 minute sessions are not for proofreading–they’re for learning strategies to improve your techniques and master the writing process. Saint Joseph’s University offers online degrees in business, education, health, and criminal justice. Additionally, they have a variety of online certificate programs. Their online master’s in health administration program is #7 in the country. DeSales University offers online undergraduate programs primarily in business, health, and criminal justice. They also offer online certificate programs in business and theology. There are 19 hybrid bachelor’s degree programs as well, which combine online and on-campus classes. DeSales University’s online programs include some classes that are synchronous, meaning there is a fixed schedule, and you attend online at particular times. While DU has a pretty good employment rate, it’s worth noting that only 5–12 percent of alumni responded to the survey in each major, so the data isn’t really representative. Of those surveyed, 82 percent received job offers within 6 months of graduation. 91 percent said they would recommend DeSales, and 85 percent believe their degree was a good investment. 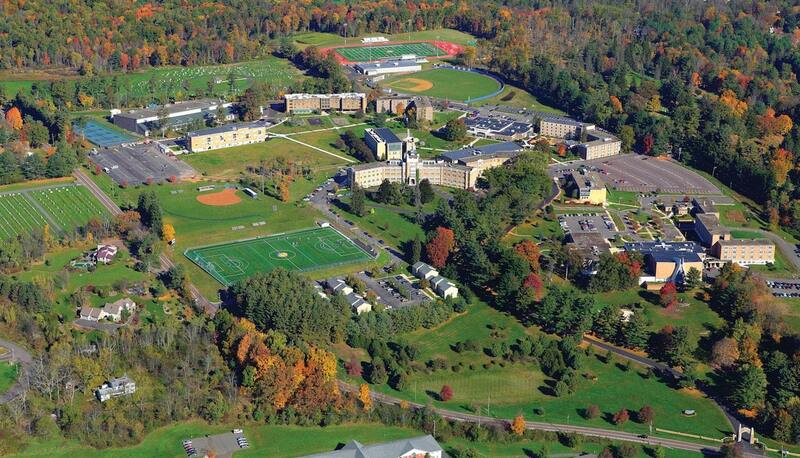 Chatham University offers online degree programs in health, business, psychology, writing, and architecture. They also have a few online nursing certificate programs. Some of these have a “low residency” requirement, so they involve a little time on campus. Most colleges use the same couple of tools for online classes. Chatham University uses several programs to help professors and students connect, several of which I haven’t seen other schools using. 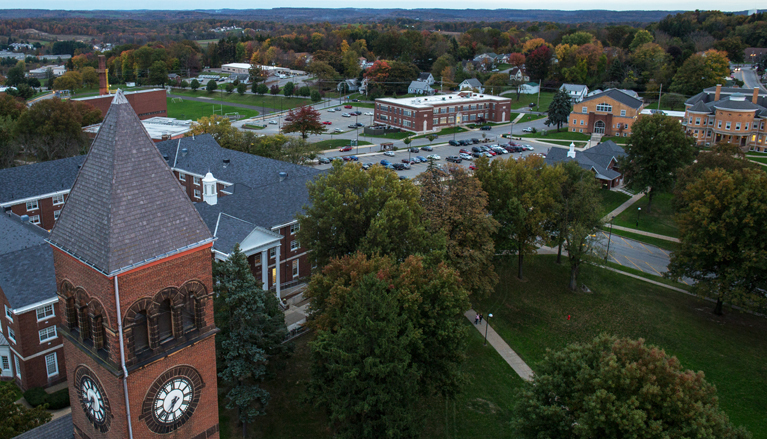 Chatham University has received numerous honors for being environmentally conscious. You can see all CU’s awards and honors here. Slippery Rock University offers online bachelor’s degree completion programs in leadership related subjects, nursing, and liberal arts. They also offer graduate degrees in education, data management, and criminal justice. Additionally, there are several online certificate programs. The eligibility requirements for SRU’s degree completion programs varies. Some require an associate’s degree or 60 credits, while others simply require some prerequisite classes. More than 125 years ago, Slippery Rock began as a school for teachers. Over time, they have built on that heritage to provide exceptional teaching degree programs, and they’ve expanded into other fields as well. Misericordia University offers online degree programs in health and business. Some of these are hybrid programs which require time on campus. There are a handful of certificate programs as well. Robert Morris University offers online degree programs in business and leadership, information systems and technology, health, education, criminal justice, and engineering. Thankfully, all of these schools are regionally-accredited by the Middle States Commission on Higher Education. That means you should be able to transfer between them pretty easily. Should I go to an online school in Pennsylvania? These are the top online schools in Pennsylvania. Two of them made the cut for our list of the best online schools in the country, but if you’re looking at online schools, you probably don’t have to limit your options to Pennsylvania. Unless you’re really attached to one of these schools because you grew up rooting for their teams, or someone you know went there, I’d recommend broadening your search. If you’re looking at in-state schools because you heard out-of-state schools cost more, you should know: that doesn’t apply to a lot of online schools. Notice how some of the colleges on this list don’t separate in-state and out-of-state tuition? Many schools have one tuition rate for all online students, regardless of where they live. And since you won’t have to move anyways (you’re an online student, after all), it certainly can’t hurt to look outside Pennsylvania. The most undergraduate degrees offered by any of these schools is a little over 60. Most of these colleges offer a lot fewer than that. But some schools in other parts of the country offer well over 100 fully online degree options. Check it out.